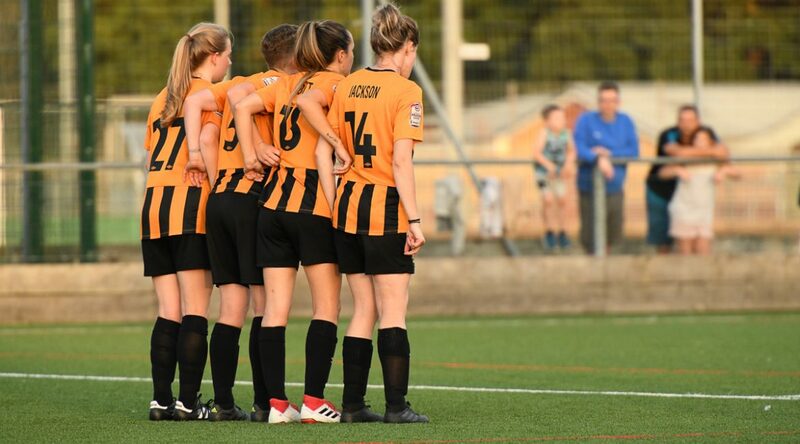 Hull City Ladies fell to a 4-2 away defeat at the hands of Sheffield FC this past Sunday in a frustrating Yorkshire derby encounter. 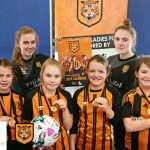 A win would have seen the Tigresses mathematically safe from relegation in the FAWL Northern Premier Division and it started well for the Tigresses as they came close to opening the scoring when Rebecca Beech volleyed over in the seventh minute. Both teams were guilty of giving the ball away as the first half turned into a scrappy affair, with both sides carving out chances. The deadlock was finally broken in the 40th minute and unfortunately for City it was Sheffield who claimed it with a low effort to put the home side 1-0 up, and the score line remained this way at the break. If the fans were feeling somewhat short-changed on the scoring-front from the first half, the second half was very different seeing five goals notched in the 45 minutes of play. There were chances from the off with Emily Smith and Misty Russell coming close, before City levelled on 55 minutes when Harley Skinner burst forward and released a wicked shot into the far corner of Sheffield keeper’s net. Just six minutes later Sheffield were back in front however when City Keeper Amy Halloran failed to grasp a cross and saw it trickle over the line. Captain Jo Symington who was rested for the start of the game then came off the bench with aplomb and equalised just three minutes after entering the field, with a fine finish. The second half was becoming an end to end tie though it was City who fell behind again from a header from a Sheffield corner. Halloran who may have been at fault for the second Sheffield goal was unlucky to see her save go in off the post and Sheffield were 3-2 up. 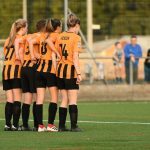 The frantic pace continued and Hull City came close through Ellie Tanser on 72 minutes, before Sheffield created chances, playing on the counter. 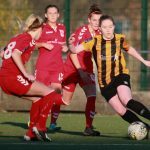 This counter-attacking ploy was to lead to Sheffield’s fourth goal when their attacker was brought down in the area from the counter-play Sheffield were able to put the game beyond The Tigresses from the resulting spot-kick. Indeed the Tigresses will be hoping to secure the win that will ensure their safety in this division for another season in two weeks time, with a tough fixture away to Middlesbrough on April 14th.